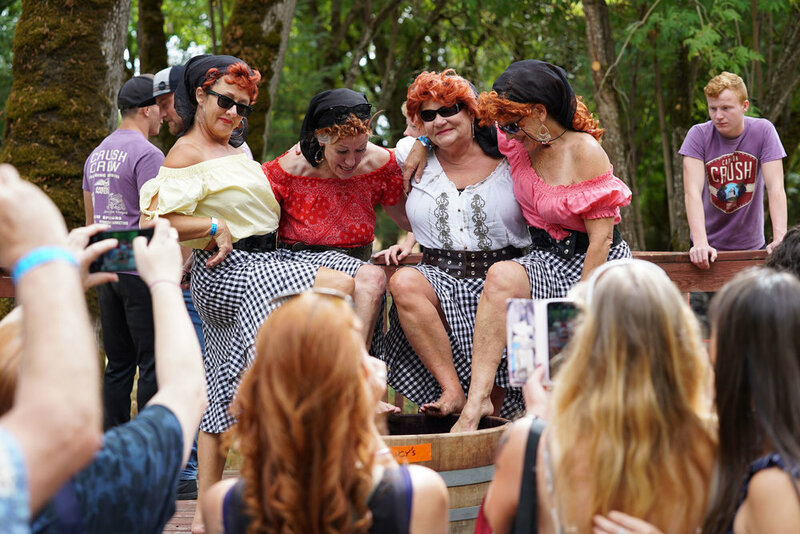 Now celebrating its eighth year, this full-day celebration features a Team Grape Stomp Competition, Kids' Watermelon Eating Contest & Kids' Grape Stomp Competition, lots of live music, and an Artists' Market, with many unique craft merchants. 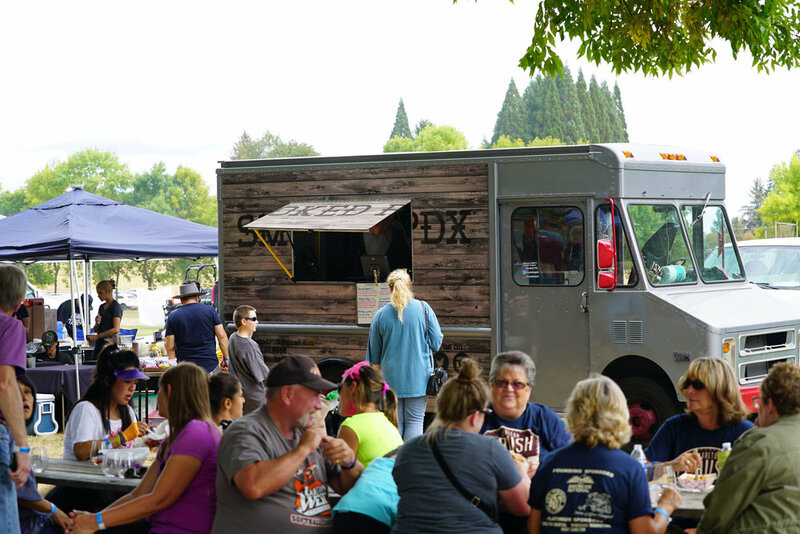 Enjoy terrific Festival food from a variety of providers, and (of course!) 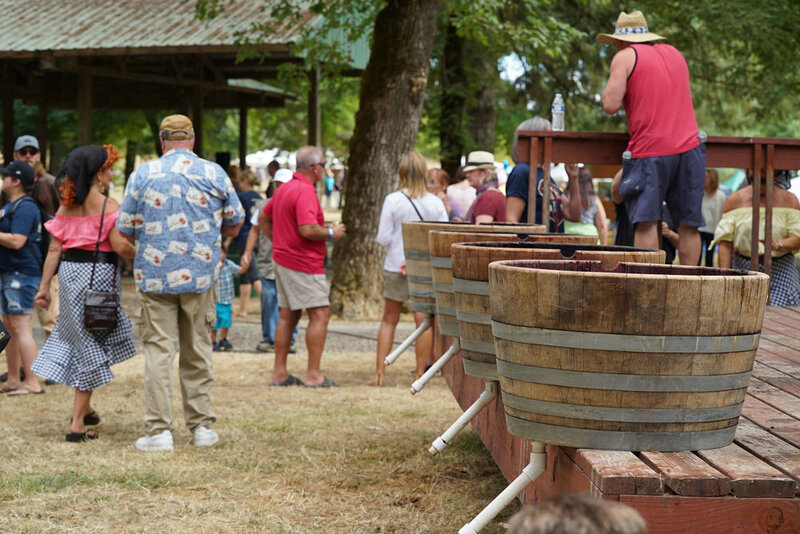 sample a large selection of fine wines and craft beers from wineries and breweries throughout the area. 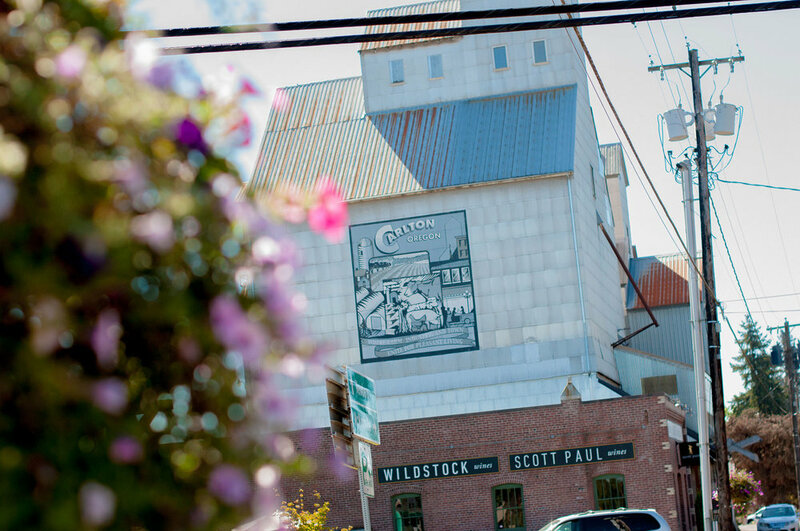 There is no admission fee and plenty of free parking throughout downtown Carlton. To consume alcoholic beverages, adults must purchase a Carlton Crush logo glass. 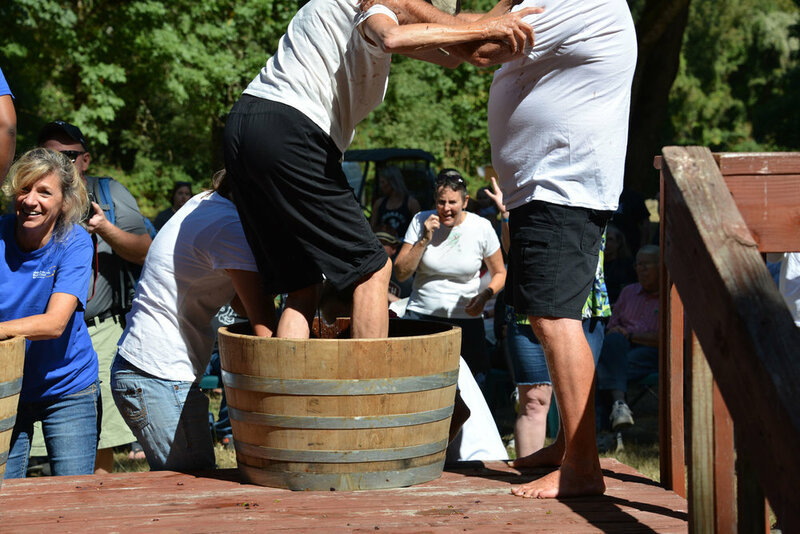 Event proceeds benefit local Yamhill-Carlton area charities and causes. 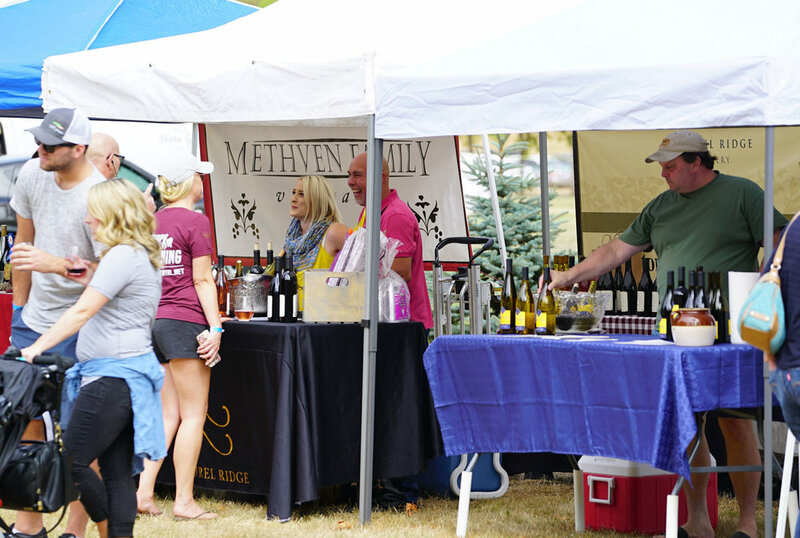 View the schedule of events and the food, beverages, artists, vendors and entertainment that await you. Not sure how to get to Carlton? 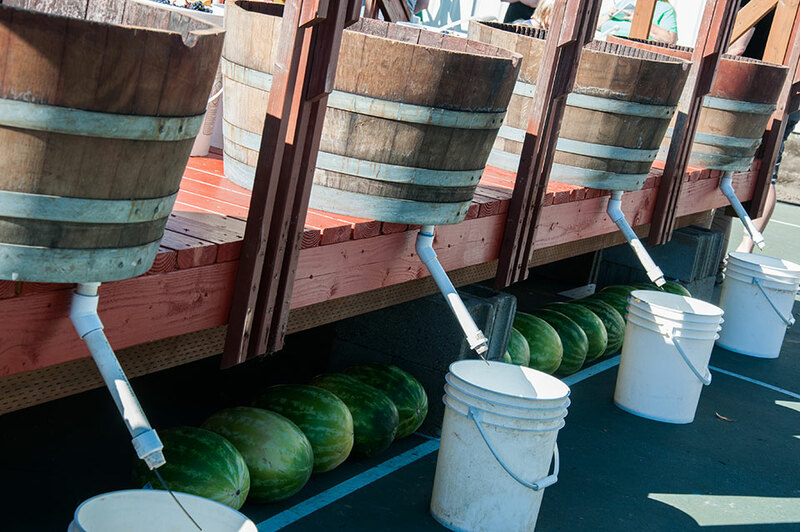 Follow these directions for the best route to Oregon’s Wine Country Capital. 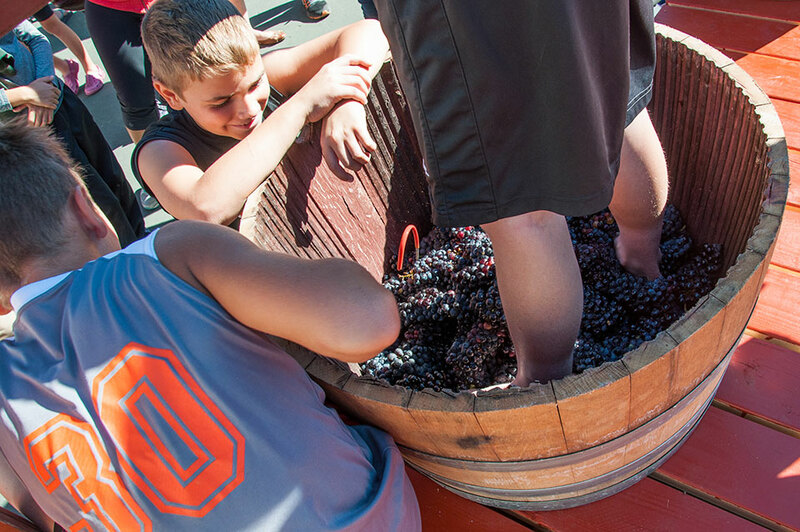 Teams of four compete in the Grape Stomp Competition. Sign up while space is still available! The Carlton Crush Harvest Festival is presented by the Carlton Business Association (CBA) and enabled by generous Sponsors and Supporters. 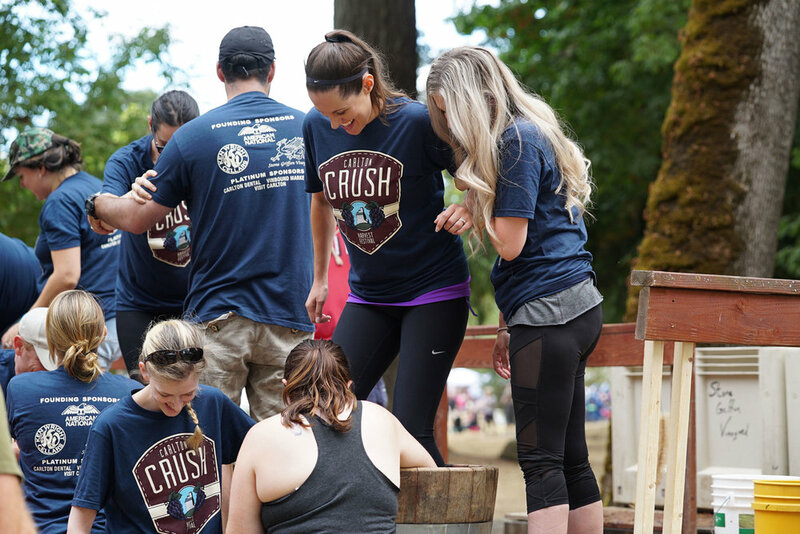 Each year, the CBA Board of Directors selects worthwhile local organizations to benefit from the Carlton Crush Harvest Festival. 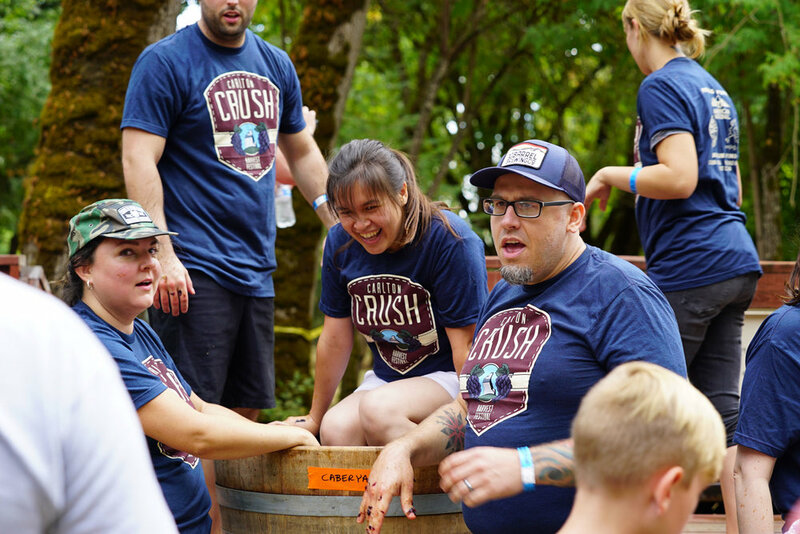 Contributions to local causes from the 2018 Festival amounted to $5,000! 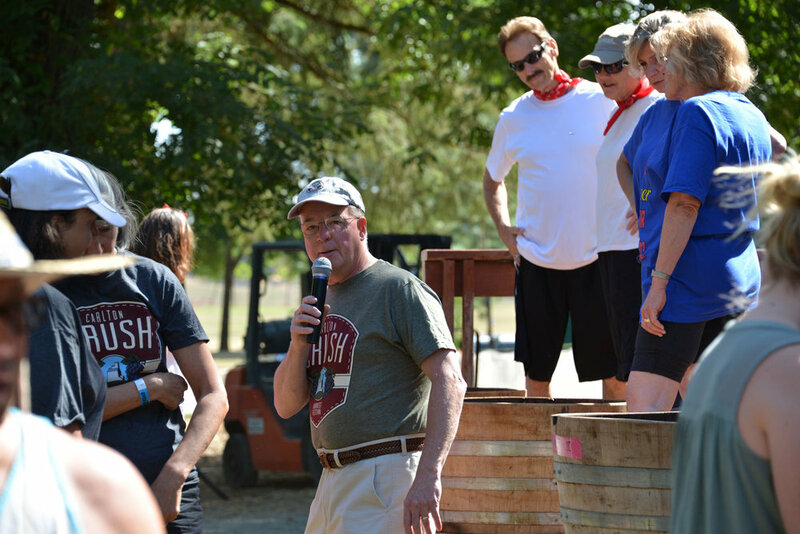 We extend our heartfelt thanks to our Sponsors and to the many wineries, winemakers, community supporters and volunteers who make this Festival a huge regional success every year! Please show your appreciation for our MANY Sponsors by patronizinG theSE LOCAL businesseS!